Traded my '14 FX4 for this '17 Lariat - much nicer truck with all the new technologies, and actually gets better mileage. Very happy with the decision. Both trucks were leveled - haven't got bigger tires on the new one yet - only 7000 mi on them. Last edited by Whalercat; 03-09-2017 at 05:03 PM. Doing the upgrade path too. The F150 lease ends next month and the F350 will be delivered then. I tow a 32" travel trailer about 8,000 lbs with the 150 and it did well. Now want the towing comfort of a F350 ( fifth wheel in the future). 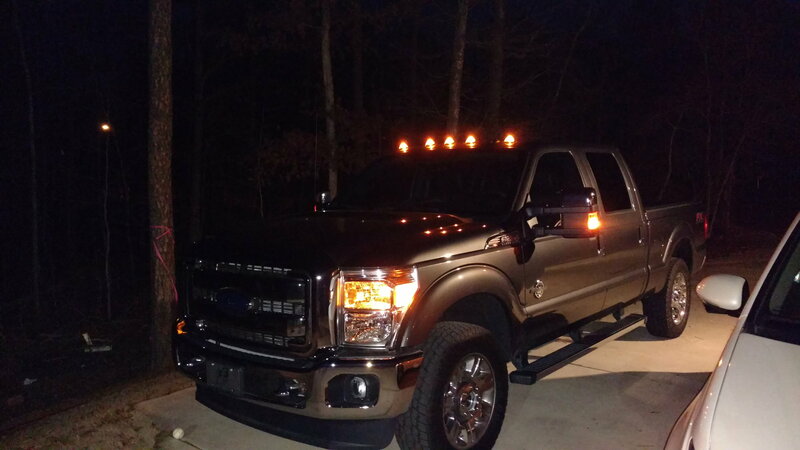 Congrats on the F350. I think I'm going to give it a shot with my F150 for now. We found a TT we like that is 6900lbs dry, with a 550lb tongue weight. With a solid WD hitch (may even go to a Hensley or ProPride), I think this will be ok until I can upgrade the truck down the road. As much as I'd love to upgrade, the numbers aren't really working out on finding the exact 16 I'd want, or building a 17...maybe when the 18's are coming out. Give a look at the Equalizer hitch, it handles sway and weight distribution and is very easy to operate. I'm in the same boat as you, but sitting in front. Only because I've been here before. What an idiot I am. watch out, because your tongue will actually exceed 750 with the propane bottles filled, and the battery on the tongue. ANYTHING you put in the front storage will make your tongue weight go up even more. My 2016 King Ranch has a 1,545 payload. I crossed the scales a few weeks ago, and the truck EMPTY with the family of four leaves me 580 pounds of payload, or for tongue weight. I'm trying to see if I should trade off now to and F350 before we get a trailer, or chance it. The DW says everybody tows large trailers with 1/2 tons. I don't want to settle for a trailer that "fits" the truck, but we will actually find (I know) will push us over. My truck is 10 months old. The DW is furious I would want to trade. Sometimes, I wonder what planet I was visiting when I met her. I'm towing a 8K travel trailer with my 2011 F150. I've done everything you can to make it better. I'm using E load tires and Road Master rear suspension kit. It tows the trailer Ok. But I'm tired of OK. And we want to make longer trips. I test drove a 2017 250 with the 6.2. Without hooking up my camper I can already tell it going to be much better. 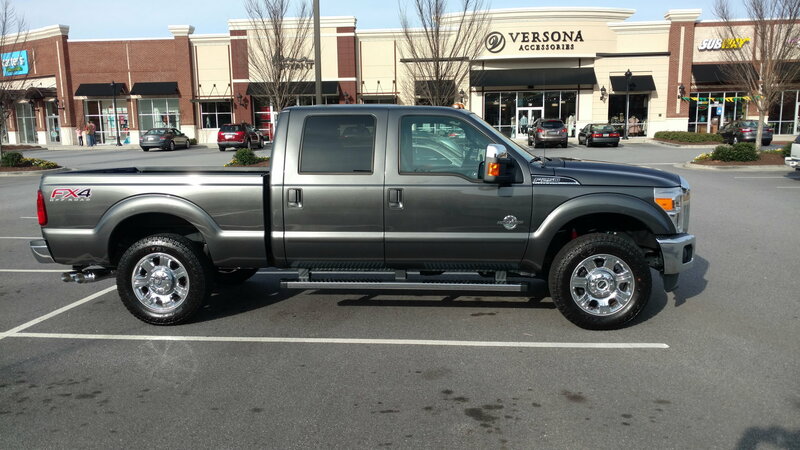 Just about ready to order my next truck! And on the flip side how many big campers are sold by RV salesmen. With all the crap in the back of my truck I am limited to a 3500# TT. "F150? You can tow 10k! Oh you only have a v6, no problem your truck can tow this 6k TT"
My thoughts are if you are going to tow 9-11k on a regular basis, why not get a 250 or 350?